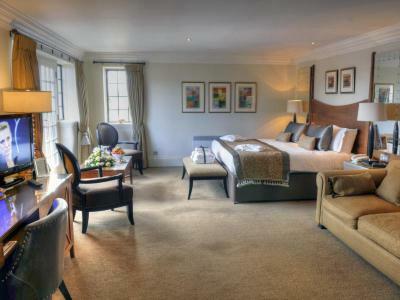 Refurbished rooms with updated modern décor and furnishings. 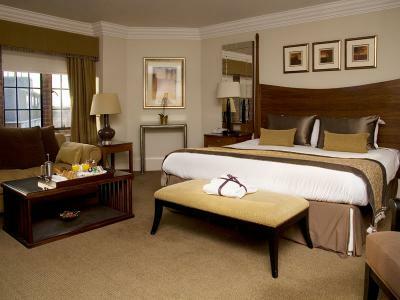 Please advise us in 'Room & Bed Preferences' whether you require a twin bedded room. While the tasteful décor reflects the Hotel's heritage, the modern features in our Main House rooms offer everything to suit the modern traveller. 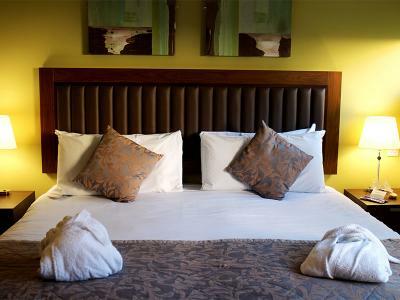 Elegantly designed Terraced Suites in the Hotel's main house offer accommodation of the highest standard, combining the opulence of a bygone era with 21st century amenities and striking views of the nearby Ayr Racecourse, it's stables and colourful private gardens. 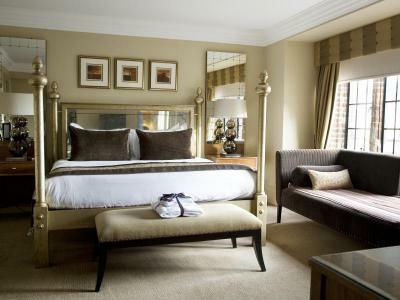 A four poster bed together with a chaise lounge form the centre-piece in this rejuvenated Mansion House room, with a style and atmosphere echoing traditional hospitality; complimented by the beautiful exposed brickwork and striking views of the nearby Ayr Racecourse, it's stables and colourful private gardens. The Junior Suite provide more living space than our Executive Rooms with a separate seating area giving you the space to truly unwind in style during your visit.